Heat first two tablespoons of olive oil in a grill pan (a regular skillet will work, too) over medium-high heat. 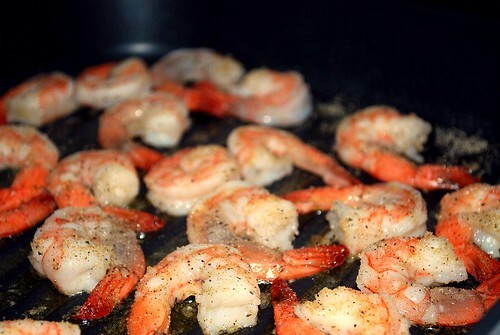 Add shrimp so that each one is laying flat on the grill pan. Sprinkle house seasoning over the shrimp. Allow to cook for 2 minutes, then flip and allow to cook for 1 more minute. Remove from heat and set aside. 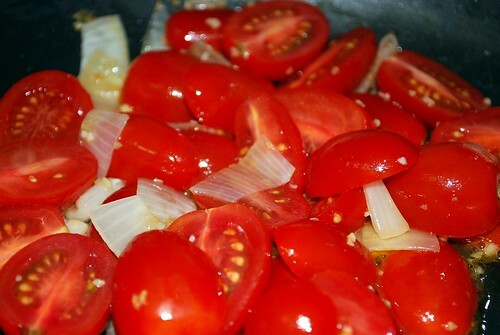 Meanwhile, heat the other two tablespoons of olive oil in a stir fry pan or large skillet over medium heat. Add onion and garlic, and allow to cook until fragrant, about 2 minutes. 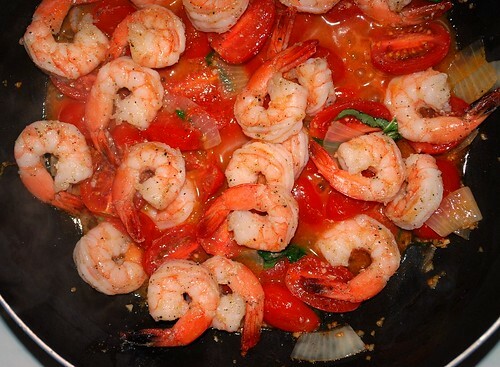 Add the tomatoes and 2 tablespoons of the basil. Season to taste with salt and pepper, and allow to simmer for another two minutes. Add the shrimp to this mixture, tossing to combine. Simmer for another 3 minutes. 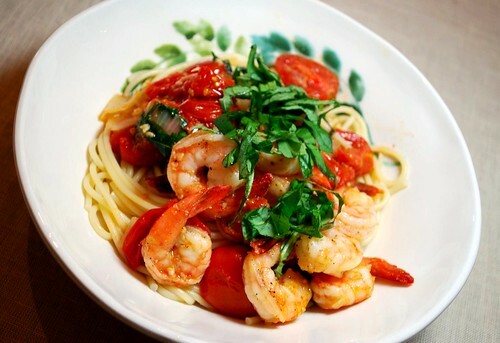 Top each serving of pasta with a quarter of the shrimp mixture. 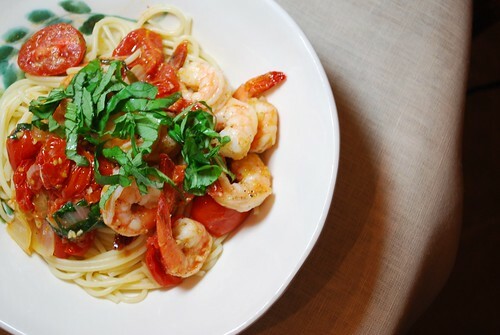 Garnish with the remaining 2 tablespoons of basil. Serve immediately with crusty garlic bread.